Item257 - Murray River, Sheet 2 by George Smythe [Tally No. 005042]. Item 253 - Road from the Dandalup Bridge to Fremantle, Sheet 3. From 32 mile peg to Fremantle by T. Watson [Tally No. 005039]. Road from the Dandalup Bridge to Fremantle, Sheet 3. From 32 mile peg to Fremantle by T. Watson [Tally No. 005039]. 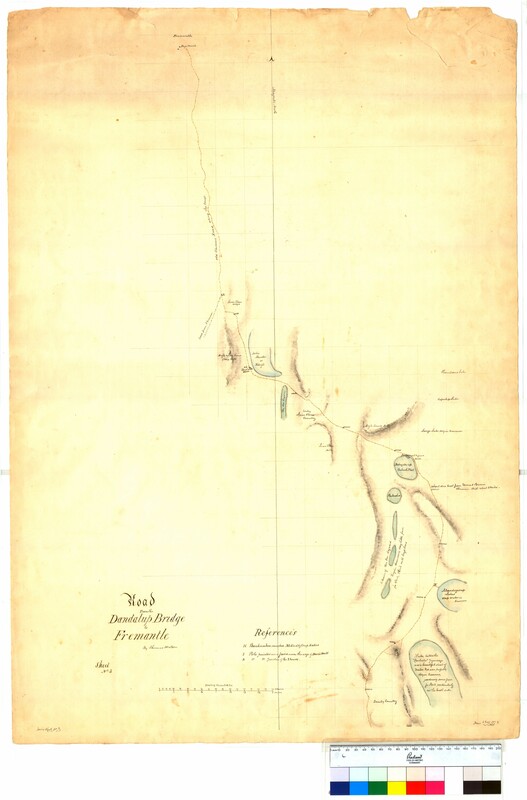 Confirm Item Request: Road from the Dandalup Bridge to Fremantle, Sheet 3. From 32 mile peg to Fremantle by T. Watson [Tally No. 005039].